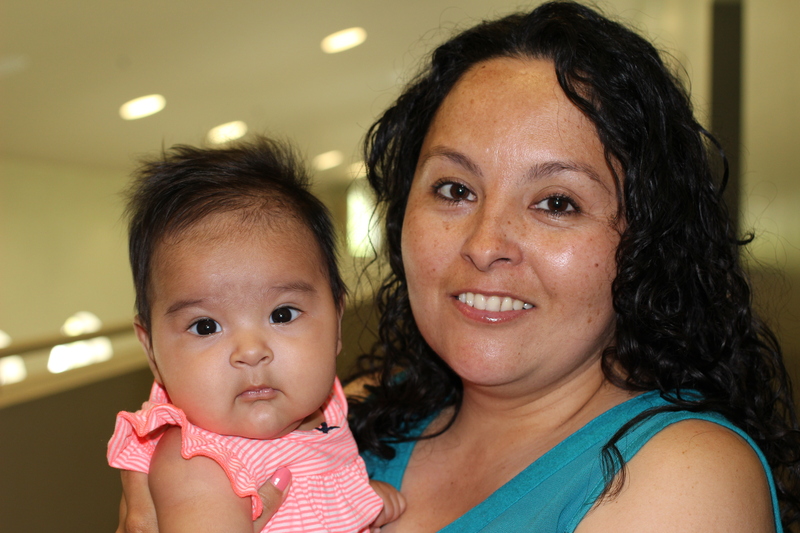 On a recent morning, as the sun began to break through the morning clouds, a young mother pushed a stroller through the double doors of the VCC Women’s Center. Five-month-old Abigail woke up from her nap, took a look at her mom Juliana and went back to sleep with a slight smile on her face, reassured that everything was alright with the world. As Juliana recalls the nine months leading up to Abigail’s birth, her eyes well up with tears of gratitude for the caring, kindness and compassion she found in the doctors and staff members at the Women’s Center. As a first time mother, Juliana had many questions and concerns. She wanted to know whether she could exercise during pregnancy. She needed advice on what to eat. She was looking for recommendations for the best car seat for her baby. At the Women’s Center, Juliana found all this and more. Center staff members formed a bedrock of support for the mom-to-be, answering questions, alleviating anxieties and reassuring her that she was doing well. For friends and family members who are pregnant or considering having a baby, Juliana’s advice is simple: Go to the VCC Women’s Center.